Freea Bhikhaji from Bombay, Other Graduate. 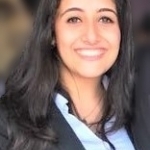 Freea Bhikhaji is Marketer and currently have no work experience. MANAGEMENT LEADERSHIP COMMUNICATION ORGANISATION FLEXIBILITY TIME MANAGEMENT DYNAMIC CREATIVE QUICK LEARNER INTER PERSONAL SKILL..
are one of expert skill area's of Freea Bhikhaji . Freea Bhikhaji is working in Sales Marketing industry.